The day of the shipwreck had promised to be an ordinary day. Dr Robert Bryant entered his surgery at half-past eight, intent upon seating himself at his desk to get on with his correspondence. He halted in his waiting room at the sight of a drift of curled brown leaves blown across the rag rug laid down by his housekeeper to cover the uneven floorboards. He fetched a dustpan and brush to tidy the mess, then flung the leaves out into the windy street outside. He sighed and surveyed the room, noting with irritation the mismatched wooden chairs neatly lining the walls on either side. Between the rag rug and the odd assortment of chairs and the plain painted walls the room looked provincial and tired. He felt a mental pinch as he imagined what his father would make of this establishment. Bryant could picture him ducking his chin and observing the room over his pince-nez, dismissing it with the slightest flair of his nostril. The saving grace of the shabby room was the painting Bryant had brought down from Melbourne last year. It portrayed a creek emerging from a hidden point beneath a sunny wooded hilltop in the distance, tumbling down a rocky crack between two steep, bouldered slopes. The slope to the right was lush with moss and ferns and a number of his patients had remarked on the delicacy of the vegetation, but Bryant’s eye was more often drawn to the left-hand slope with its craggy rocks bursting out from the tough grass. It was exactly the sort of hillside he liked to climb himself. His palms tingled with the memory of a rough scrape of rock. He sometimes fancied himself climbing inside the painting and finding the source of the creek. The water would be icy and sweet, he was certain. Dr Bryant turned away from the painting and crossed to his office, resolutely closing the door and settling into his correspondence. He had finished signing his name to a final letter, this one concerning Mrs Hatton’s approaching confinement, when he heard the murmurs of his first patients assembling in the room outside. ‘Into battle!’, he muttered to himself as he flung open the door and summoned his first patient. He was on time, as usual. ‘Millicent Taylor’, he announced to the waiting room, and smiled encouragingly at the young woman cradling a child. Mrs Taylor shuffled clumsily past him, encumbered by her older children, who tugged her skirt, pulling her off balance like a rough current of water. It was around nine o’clock that evening that the night signals from the distressed ship off shore were received. Upon hearing the deep bell, penetrating the heavy clatter of rain and howling wind, Bryant leapt up from his seat by the fire and hurried into his coat. He tossed instructions to Mrs Woodley, who had emerged sleepily in a jacket wrapped around her nightgown. He hurried out into the wind and joined the few men who could be gathered quickly to hurry down to Lawrence Bay. There were seven in the rescue party: Bryant; the Postmaster, Joe Carey; Jim Fitch, a blacksmith with Alf, his apprentice; Tom Sanders and Fred Wright, whose shops abutted the Post Office; and Mr Braithwaite, the Anglican Minister. He always made it his business to join rescue parties if he could, although he wasn’t up to much as a rescuer. Fitch had once muttered drily to Bryant that it wasn’t lives that Braithwaite wanted to save. They hurried down through the Tea-Tree forest towards the beach, eying the branches whipped back and forth by the rough winds nervously. Once they stepped onto the sand it was revealed as the most brutal kind of storm, with a wind that tore at your clothes and filled your mouth so it was hard to breathe. The worst was the sand whipping across the beach into the faces of the rescue party. They saw with dismay the wreckage of a lifeboat flung upon the sand, but plunged into the biting cold water anyway, looking for any survivors who had managed to escape the shipwreck. Bryant was the first to sight a figure in the water close to the sand and, without thinking much about it, he pushed his way into the waves to clasp two cold hands in his own. A tall wave crested immediately in front of Bryant to pummel him in the chest. It knocked his breath out, tore at his chest and hips, sucking him towards the turbulent sea. But he kept his grip on the man, curling his fingers tighter as the man’s hands began to slip away from him. Bryant lost his balance and stumbled forward into deeper water. He realised that if he did not free his hands he would be pulled after the retreating wave and dragged under to the rocks beyond the beach. He did not want to let go, but before he could panic several hands appeared in the darkness, pulling with him against the wave, gripping the man so he was lifted out of the water, towards the shore. They dragged the man up the beach and laid him on his back on the soft sand beyond the waves’ reach. Bryant leant down and examined his face; he was unconscious. Bryant considered his options. Chances were slight, but he knew drowned men might be restored to life if the water could be expelled from their bodies quickly enough. One of his professors at King’s College had done it himself once, with a young child pulled from the Serpentine. They had been taught a method, propounded by Dr Silvester, to expel the water by rhythmically compressing the chest with the victim’s own arms, but that was not what his professor had done to the girl. The professor had explained to them another method, which had worked. He hesitated briefly, considering what the others would think, but he felt compelled to act, to do what he could, so he kneeled down at the man’s head and took the man’s face firmly between his hands, then lowered his own face and blew hard into the man’s mouth. ‘Resuscitation. Trying to get him breathing again. Explain later…’ he replied shortly. The men were torn between wanting to stay and watch the strange drama before them and looking for more survivors from the lifeboat. After a short time, a few of them went back to the water’s edge. Two remained, watching with a mixture of disgust and curiosity. Bryant continued to blow forcefully into the man’s mouth. He ignored the foul taste of the salt and willed the air down into the man’s chest. The tense moment stretched to minutes, but he would not give up. The wind, the beating rain, the sheer discomfort of kneeling, soaked, on a beach in a howling storm; all were ignored as he focused on bringing this man back to life. Suddenly the man heaved and a quantity of water spurted out from his mouth and nose. There was a shout: ‘He’s done it! He’s alive!’ Bryant quickly rolled the man on his side as he continued to vomit, expelling the salt water as he spluttered and coughed. ‘You’re safe now, good man. You’ll be all right. Take it easy.’ He held up a lantern to examine the man’s face. He was startled to meet the man’s eyes, which stared at him through terror. The man held his gaze with determination, as though it were a lifeline, and Bryant met his gaze steadily, willing the lifeline into him. In that moment, suspended between life and the pit of nothingness, he became Bryant’s man. The man ceased his panicked gasping and instead began to moan weakly. Bryant called out: ‘Hold up the light for me’, while he felt the man’s torso, arms, head, until he reached down to reveal a sticky patch. Feeling further down, the man groaned sharply when Bryant pressed down on his thigh. A heavy sensation settled on Bryant; the man was wounded. In the end they found just one survivor. The storm raged for a further hour or so, with huge waves hurling bits of wreckage and bodies onto the sand. Each time the waves pulled back after depositing a limp body on shore, the men shouted and ran over, hoping for another miracle like the one they had performed already. But the bodies were blue and lifeless. Bryant could recall few sights more horrible than his companions dragging the bodies like sacks up the beach, laying them side by side. He tried not to think too much about it, as he concentrated on his patient. He had uncovered a wound in the man’s side. The first priority was to halt the flow of blood. He pulled a woollen bandage from his bag and pressed it hard against the wound. The man groaned in pain but grasped his arm with a surprisingly strong grip. ‘The box… box?’ he coughed. Bryant gazed with consternation at the man’s face, distress evident in his expression. ‘Try to be calm, Sir. You’re alive, thank Heavens. Can you speak to me, tell me who you are?’ The man’s grip on his arm did not slacken. Bryant was relieved that the man was calmer and concentrated on binding the wound, which was now bleeding less profusely. It was difficult and messy, on the sand with the wind scouring them both. He glanced at the man again. His eyes were closed and his breath was shallow and fast. ‘Yes.’ he said through closed teeth. Bryant turned his attention to the man’s legs, feeling carefully until he reached above the knee and the man cried out. Clearly the man was not going to walk out from the beach. The question in Bryant’s mind was whether the leg could be saved. If not, he had grave fears for his patient’s chances. After a quick examination he was relieved to find there was no break in the skin. Perhaps it was no more than an injury to the soft tissue? He wanted to get the man back to his surgery immediately, but checked himself because he wasn’t sure if the man would even live to return to the surgery. ‘What’s your name?’ he asked, feeling for the man’s pulse. It was strong enough. ‘Twynham, George Twynham’, came the ragged reply. Twynham seemed to gather himself. He took a shuddering breath and swallowed, then muttered grittily: ‘From England, returning, my fiancée… Melbourne…’, from which Bryant gathered that the man had a fiancée in Melbourne to whom he was returning after a sojourn in England. That was good, if he could discover her name. He would have someone to tell. Twynham lip twitched, almost a smile though he couldn’t quite manage it. Bryant decided he liked his spirit. Twynham shivered, then grimaced, as if even shivering hurt. Bryant stood abruptly and took off his own coat, though it was sodden and heavy. He cautiously wrapped it around his patient. He called out to Fitch, who crouched with two of the others, staring helplessly at the thunderous waves. ‘Fitch! Can you come over here please?’ He stood up and hurried over. ‘How’s the patient Dr Bryant?’ he asked, looking down at Twynham with concern. This is an extract from a novel in progress, which was developed during the Faber Writing Academy Writing A Novel course 2017. 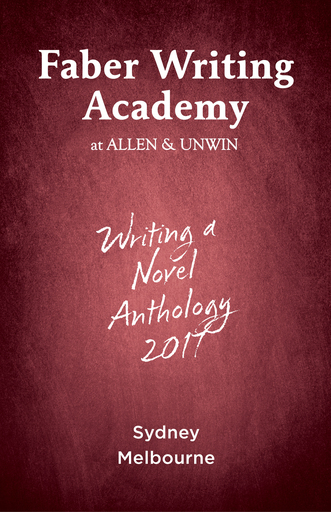 This is an updated version of what first appeared in the Writing a Novel Anthology 2017. Dr Robert Bryant escapes his disreputable family in Oxfordshire to create a respectable existence in Victoria in the 1860s, but chafes at its limitations. He wants to cement his respectability in the upper echelons of Melbourne society. Bryant seizes an opportunity when charged with a deathbed duty of honour by George, his shipwrecked patient. He seeks out the Hamley family and is drawn into their world of radical social and scientific thought. He aids the talented Jane Hamley, George’s bereft fiancée, in her search for proof of Darwin’s evolutionary theory. She rejects him, even as she sets in train an evolution in his relationship with his past and the social order. T A Getzler writes novels and short stories in historical and contemporary genres. She enjoys writing historical fiction for its quality of distance, and perspective on our more familiar experiences. She relishes hiking along remote coastlines and she conceived Moonlight Head while gazing at the Southern Ocean from a clifftop. Moonlight Head is T A Getzler’s first novel.